The vodka is beautifully smooth and has a unique mild creamy taste to it. This vodka is great served straight over ice, used in your favourite cocktail or with your favourite mixer. 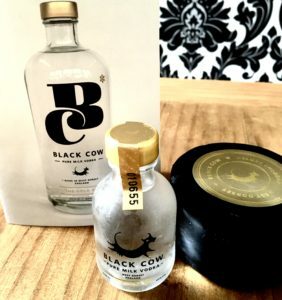 I had mine over ice served with another product they create, their award winning Black cow cheese. 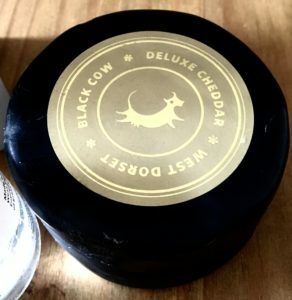 A wonderfully creamy cheese with a great mature flavour to it. The cheese is made from the curds left over from the whey that is extracted to make the vodka, hence the name of the package I received was “The Whole Milk”.